We’ve spent the last 6 months getting Studio Binder ready for our public launch. 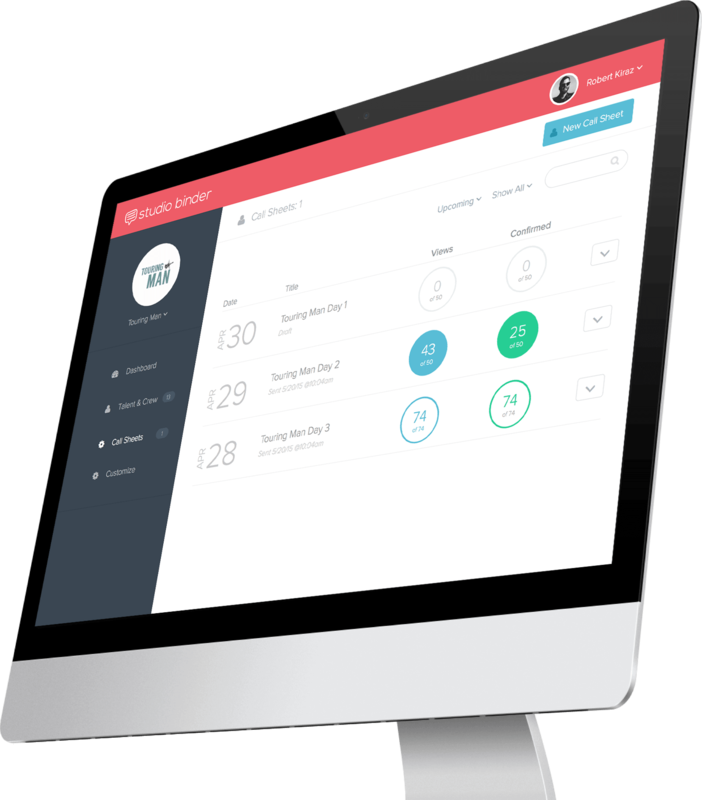 We want to send out a big thank you to our great beta testers! After sifting through the feedback from users from every walk of production, we are beyond excited to let you know the result of all these efforts. 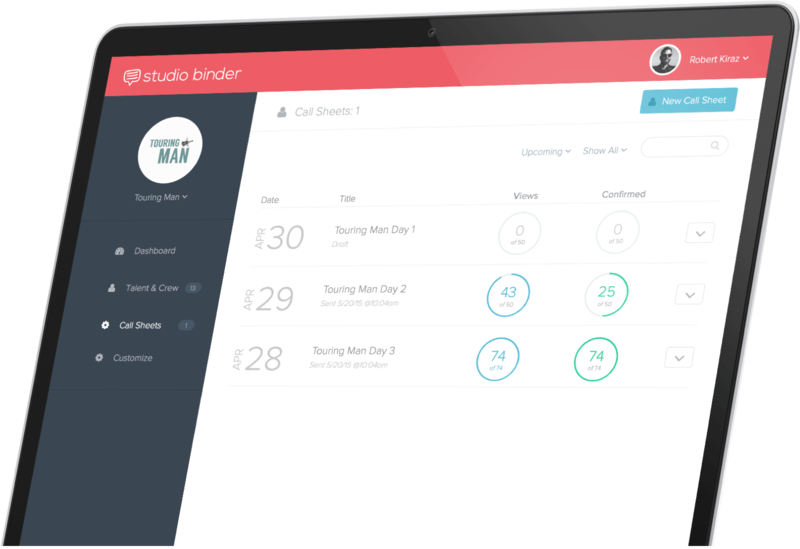 StudioBinder is more streamlined, intuitive and visually stunning – just the way you want it. The confirmation system is now live in Beta. This represents a major milestone on Studio Binder’s roadmap. We’re bringing data and analytics to something as old as filmmaking — the call sheet. View, in real time, who has received their call time emails. Track, at a glance, when they confirm. 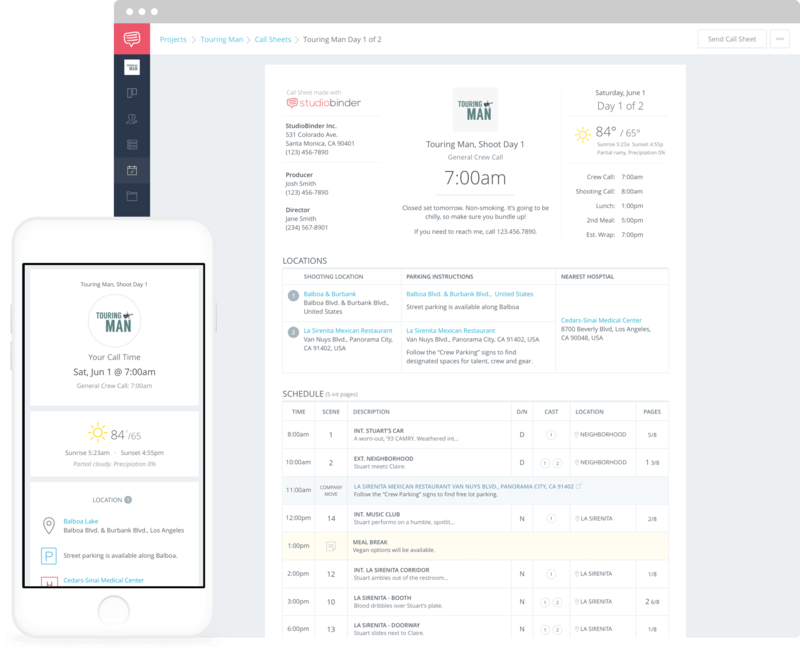 With a powerful and re-imagined new analytics system you will know exactly who has read their call sheet, and who hasn’t. Who confirmed, and who needs a follow-up call. 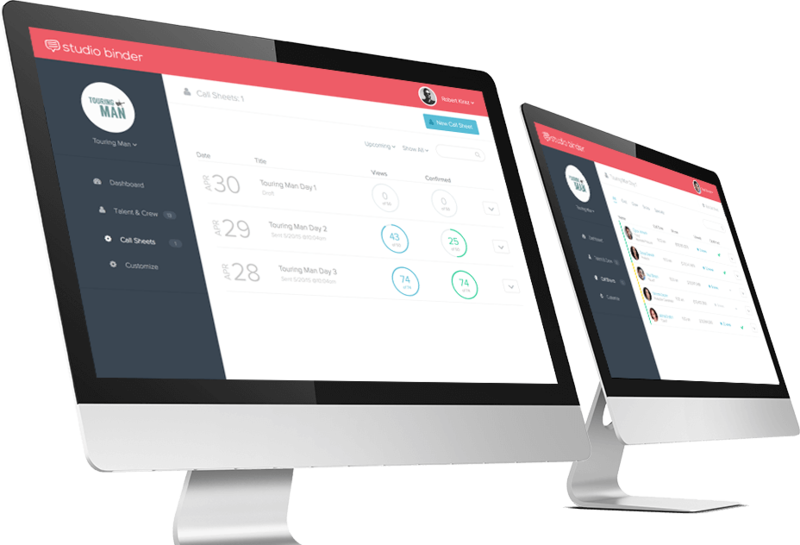 We’re streamlining the production workflow, and it’s long overdue. 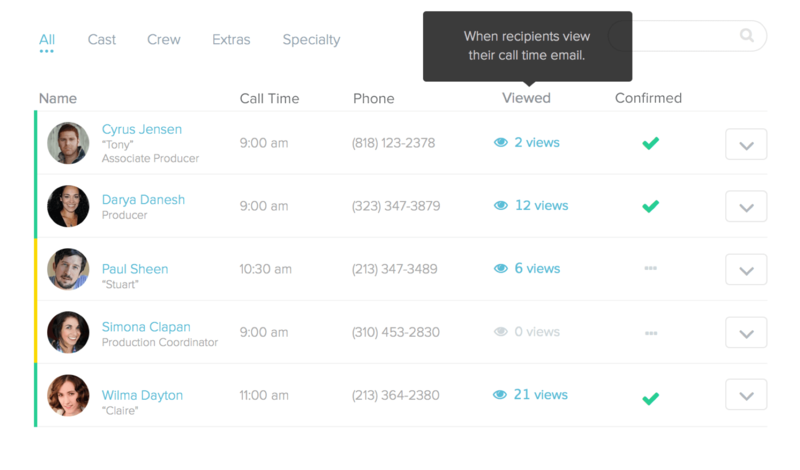 The new call sheets page will display the percentage (and exact number) of recipients who viewed their call time emails, and how many have confirmed. Want to see who didn’t? We thought of that too. You can drill down to a person-by-person view as well. Add notes when editing and resending call sheets.